These fondants are baked in a cup, the way cupcakes were before we got all fancy with our paper patty pans. These days you won’t find many cupcakes baked in a cup, but it’s a method I enjoy returning to every so often just to give the recipient cause to think twice about exactly what it is they’re consuming. 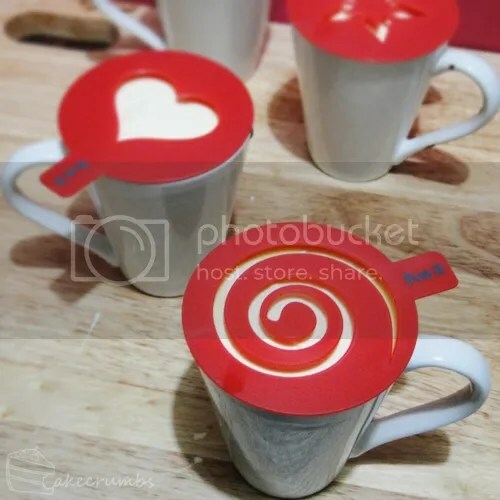 You can use almost any ceramic mug for these. If it’s fired in a kiln, it will survive your home oven. 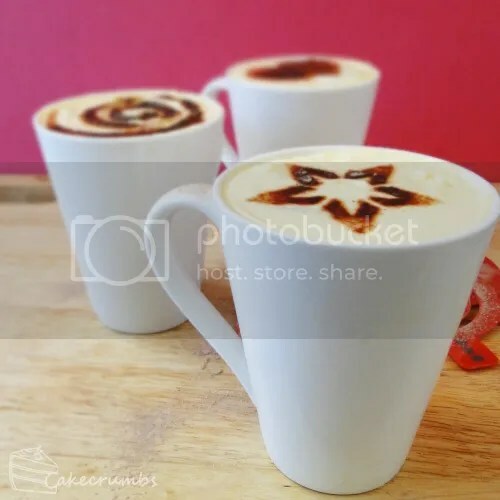 Just avoid cups with painted decorations or metallic gold rims; the fumes let off from these could become nastry. Once the fondants are baked, I let them cool for 5 minutes then topped them with double cream. Any whipped cream or marscapone cream would work well here. I used these little templates I picked up from the shops a few weeks back to make some patterns with cocoa. And there you have it! They look so unassuming your guests will need to look twice to realise it’s not a drink. Just be sure to give them due warming before they try to sip it; the mugs are hot. My partner and I nommed one each. The third was left to cool but served the dual purpose of providing a better photograph than the hot puddings did. Our puddings were a delicious mess of cream and cake and oozy chocolate sauce. Yum. The amount of puddings you can make will depend on the size of the mugs you use. I used little 250ml capacity mugs, which yielded three fondants. You can adjust the baking time accordingly. 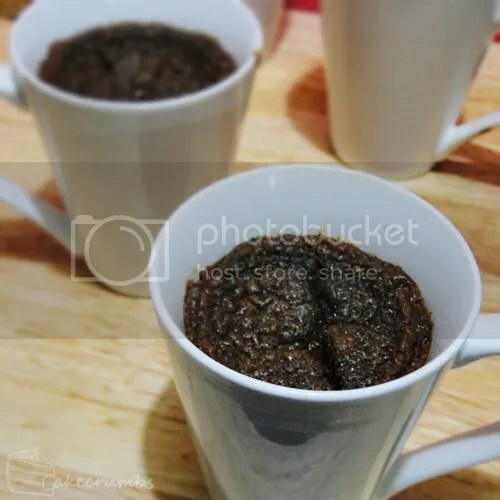 The best part about serving these fondants in a mug is that you won’t have the usual stress of inverting them and hoping the exterior holds shape. A couple of minutes either side won’t make much difference here. 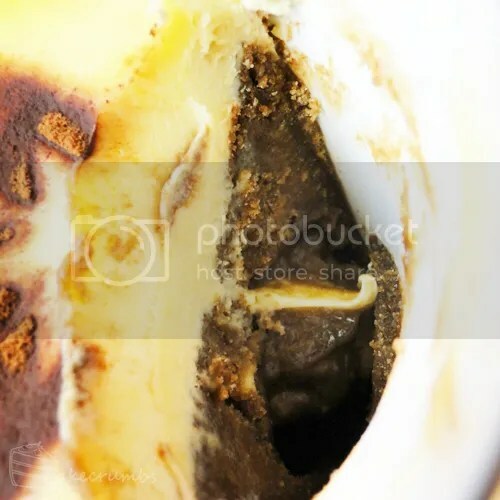 Melt chocolate and butter together in a saucepan. Beat the eggs and sugar together for about 10 minutes, or until thick and foamy and mixture has tripled in volume. Dissolve the coffee in 1tbsp of boiling water, then add to the mixture with the melted chocolate; beat until just combined. Add the flour; beat until just combined. 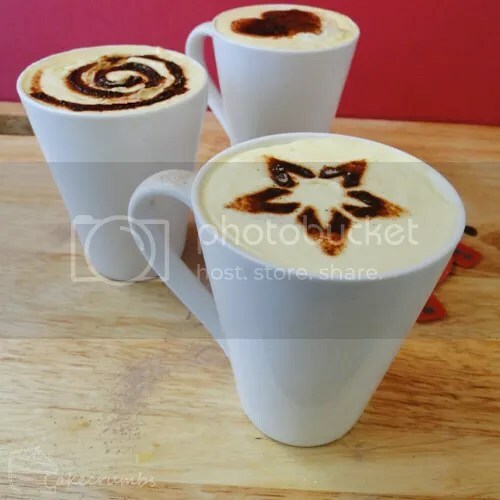 Pour the mixture into coffee mugs. Place the mugs on a baking tray and bake for 15 minutes. Remove from oven and leave to cool for 5 minutes. Top puddings with double cream, dust with cocoa and serve. You’ll find the printable version of this recipe here. Awesome. :] I hope you enjoy them! I saw the photos of these and dA and I had to check out the recipe. 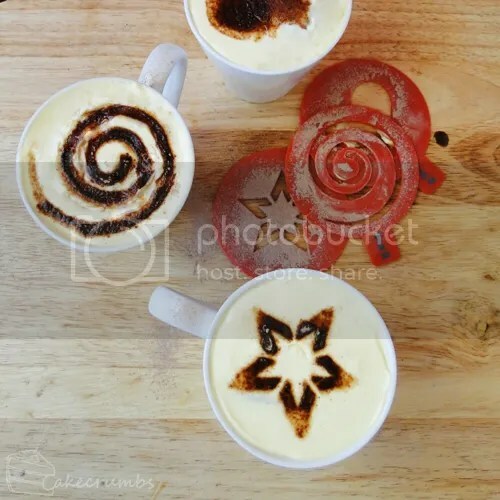 The ingredients’re so simple and the result looks delicious!